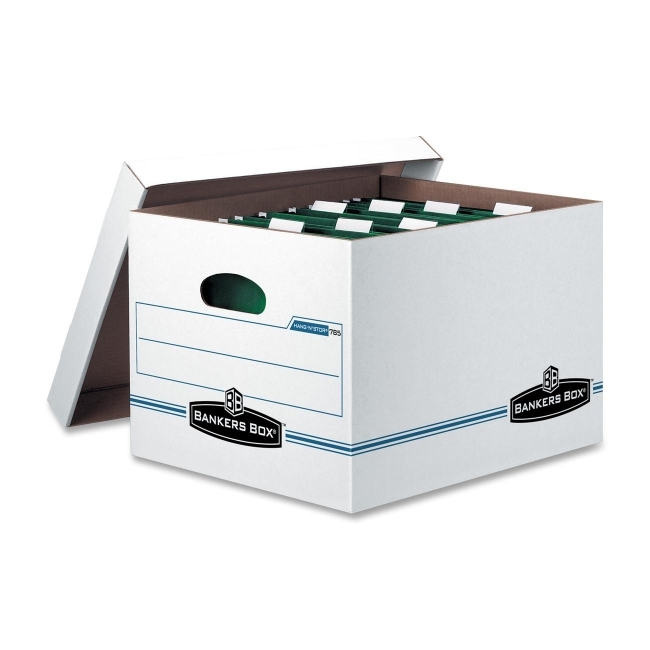 Bankers Box Hang'N'Stor Storage Box - 11" x 13.75" x 13.25"
Storage boxes provide the perfect way to store and transport your hanging files. Each allows time-saving transfer of hanging files from active to inactive storage without removing records from the hanging folders. Folders glide smoothly over plastic channels for easy file access.